Cyberabad Police has issued notices to about 500 people including several top celebrities from Bollywood in the multi-crore QNet multi-level marketing (MLM) scam. Those issued notices include Shah Rukh Khan, Anil Kapoor, Jackie Shroff, Boman Irani, Vivek Oberoi, Pooja Hegde and Telugu actor Allu Sirish and cricketer Yuvraj Singh. The Cyberabad Police has asked these people to appear before its economic offences wing (EOW) to explain their association with Hong Kong-based QNet and Vihaan Direct Selling Pvt Ltd, which are facing the charges of cheating. These companies have allegedly duped over 20 lakh investors. The volume of cheating through illegal money circulation scheme is estimated about Rs20,000 crore. The celebrities, who have been issued notices, allegedly endorsed and promoted the companies involved. Some of them also worked as their brand ambassadors. Promoters, shareholders, directors and CEOs of the companies were among those served notice under Section 161 of Criminal Procedure Code (CPC), asking them to appear before EOW of Cyberabad Police Commissionerate, one of the three police commissionerates covering Hyderabad, Secunderabad, information technology hub Cyberabad and surroundings. QNet, in a statement, however has said it does not have any brand association with those who have been issued notices by the police. According to police, several criminal cases were filed against Vihaan Direct Selling, Bengaluru for cheating more than three lakh persons across the country by floating illegal money circulation scheme. The police have also arrested Dilip Raj Pukkela, director of Vihaan Direct Selling and some agents including Chandan Kumar Choudary, and Athul Kumar. While Mr Pukkela was arrested from Chennai, Mr Choudary and Mr Kumar were picked up from Jamshedpur and Madhapur in Patana district, respectively. Cyberabad Police Commissioner VC Sajjanar had earlier said Telangana High Court had not given any stay orders on the investigation of criminal cases filed against Vihaan. He also clarified that there is no bar for registering of fresh cases against QNet or Vihaan Direct Selling. On 18 May 2016, Gurupreet Singh Anand, the original complainant in the QNet MLM scam had demanded a detailed probe of the role played by Bollywood stars like Shah Rukh Khan, Aamir Khan, Anil Kapoor, Boman Irani and Pooja Hegde in promoting the company. 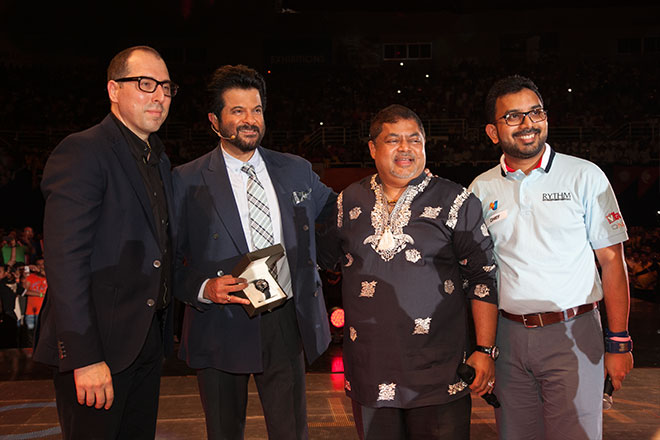 Last year in April, QNet had organised its V-Malaysia, where Bollywood actor Anil Kapoor shared the stage with Pathman Senathirajah, an accused and absconder in cases registered in India. The EOW of Mumbai Police also had issued a look out notice against Mr Pathman. Mr Kapoor has been a regular since past few years at V-Con organised by QNet. 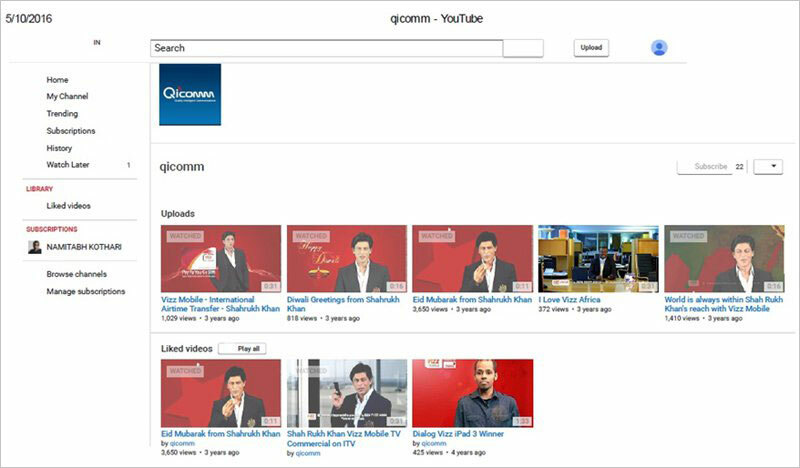 In 2016 too he was there on V-Con and shared the stage with Mr Pathman and Vijay Eswaran, the chief of QNet and absconder in several cases filed against the MLM in India. There are several court cases and probe going on against QNet, its franchisee Vihaan and many people associated with the MLM scheme. In fact, three year ago, the Bombay High Court, in its judgement has observed "the deceit and fraud is camouflaged under the name of e-marketing and business." While rejecting anticipatory bail applications of five accused in the multi-crore QNet scam, Justice Mridula Bhatkar, in a hard-hitting order on 6 May 2016, had said, "The motto of the company 'sell more, earn more' appears very attractive and innocuous. However, this motto is fully camouflaged. The company stands on a basic statement that people can be fooled. Thus, the true motto is 'sell more earn more' by fooling people. In fact, it is a chain where a person is fooled and then he is trained to fool others to earn money. For that purpose, workshops are conducted where study and business material is provided with a jugglery of words, promises and dreams. Thus, the deceit and fraud is camouflaged under the name of e-­marketing and business." "We celebs wl do anything for money"
People took risk for high returns. If they had made more money, will they file case or will they share it with Government? Now they lost money and they are crying foul. Why should Government intervene? Government should allow failed Banks, Companies and People to go Bankrupt. That would be a warning to others. Amid a raging controversy over chit fund scams, the Union Cabinet on Wednesday decided to amend a law to enable banning unregulated deposit schemes with deterrent punishment and fines in a bid to protect small investors. The Cabinet, chaired by Prime Minister Narendra Modi, decided to amend Banning of Unregulated Deposit Schemes Bill, 2018 accepting recommendations of the Parliamentary Standing Committee that went into the provisions of the Bill. Briefing the media, Law Minister Ravi Shankar Prasad said any person running such deposit schemes without registration would attract penal provisions of the law. Advertisements of such unregistered schemes and brand ambassadors of such schemes would also be covered in this measure. "The Bill contains a substantive clause which bans deposit takers from promoting, operating, issuing advertisements or accepting deposits in any unregulated deposit schemes. 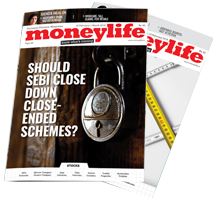 "The Bill creates three types of offences, -- running of unregulated deposits schemes, fraudulent default in regulated deposit schemes and wrongful inducement in relation to unregulated deposit schemes. The Bill provides for severe punishment and heavy pecuniary fines to act as deterrent," Prasad said. Punishments and penalties under the law will be meted out for offences committed after the law has been passed. The decision to amend the law comes amid a storm over investigations in the Saradha and Rose Valley chit fund schemes that rocked West Bengal and Odisha among other states and triggered a political war between the TMC government and the Modi government at the Centre. Prasad said the major victims of the chit fund schemes are poor people who invest in small sums. "In the last four years, CBI has lodged 166 cases of multi-crore chit fund scams since 2015 till November 30, 2018. Maximum cases have been in lodged in West Bengal followed by Odisha. All these cases have origin before the Modi government came to power," he said. The Cabinet also decided to maintain an online database of regulated deposit schemes where people can deposit their money. 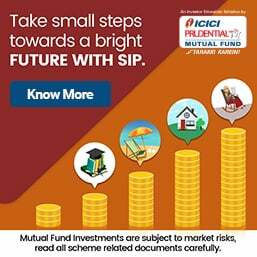 The Securities and Exchange Board of India (SEBI) has disclosed details of 29,000 properties of PACL, the massive ponzi scheme that went bust. These details, says SEBI in a press release issued today, are available on the website www.auctionpacl.com . SEBI has now received details of another 13,863 properties from ‘the authorities’. These details are available at https://www.sebipaclproperties.com. SEBI’s disclosure is in compliance with a Supreme Court order of 2 February 2016, in the matter of Subrata Bhattacharya vs Securities and Exchange Board of India (CA No. 13301/2015). The Court asked for the constitution of committee under the chairmanship of Justice RM Lodha, former Chief Justice of India, for disposing of the properties of PACL Ltd so that the sale proceeds can be paid to it hapless investors. Unfortunately, there is no listing or record of the properties easily available on the website. The links take the viewer to those interested in bidding for the auction with cumbersome navigation.